1. Significant effect: It is ideal for removing wrinkles, replenishing moisture for deep skin, whitening skin, rejuvenating and improving skin. 2. Advanced technology: This machine adopts technology included a projecting a powerful CO2 flow, combined with an extremely high concentration of atomized actives at a very high pressure and a very low temperature. 3. Needle free injection can supplement hyaluronic to the deep skin, and the effect is long-lasting, which enables the skin to be soft and glossy for a long period. 4. Safe to use without wounds, treatment risk or other side effect. 5. 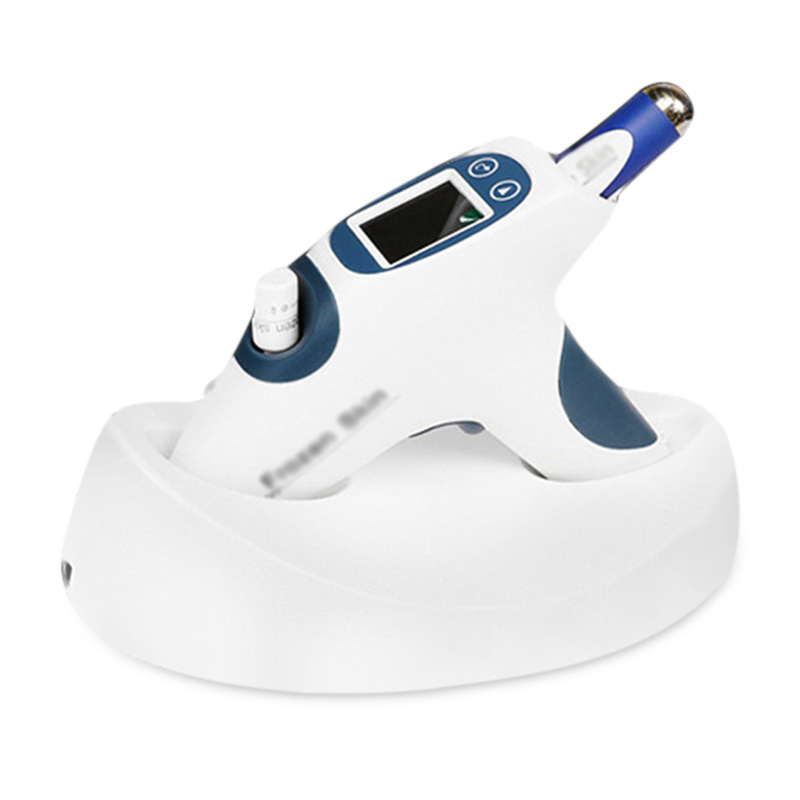 Non-manual injection, painless, hyaluronic and non-invasive. 6. User-friendly operating system, easy and convenient to use. 7. Portable size, suitable for professional use and home use. Removing Wrinkles, Replenishing Moisture for Deep Skin, Whitening Skin, Rejuvenating and Improving Skin, etc.